Derailleur hanger for MTB Fantic for sale online. If you can not find your model on the list, contact us, we will find it for you! Fantic XF1 Integra 160 derailleur hanger 6061 T651, made with CNC technology. Black anodized. Lighter and more durable than the hanger series. Fantic XF1 Integra 160 RACE derailleur hanger 6061 T651, made with CNC technology. Black anodized. Lighter and more durable than the hanger series. Fantic XF1 Integra 180 derailleur hanger 6061 T651, made with CNC technology. Black anodized. Lighter and more durable than the hanger series. 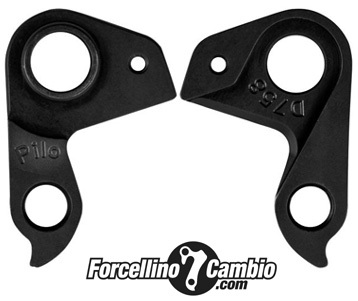 Fantic XF1 Integra Carbone One derailleur hanger 6061 T651, made with CNC technology. Black anodized. Lighter and more durable than the hanger series.